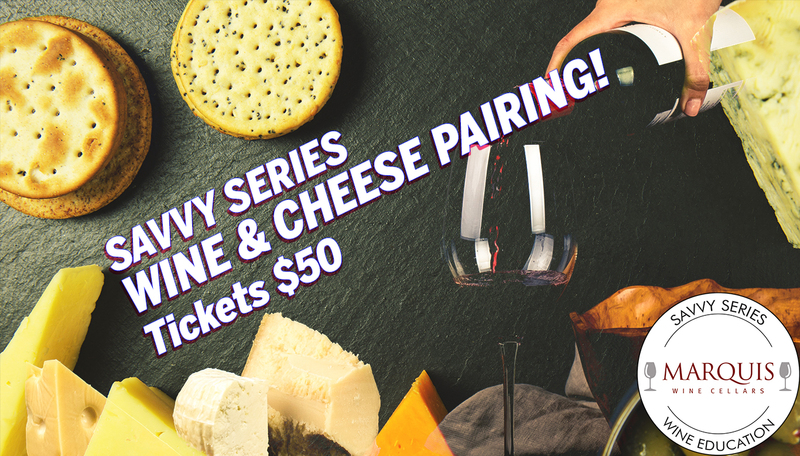 Marquis Wine Cellars announces the launch of the SAVVY Series - Wine Education Classes. These intimate sessions will feature a diverse selection of wines. You will discover those little hidden gems that are often scooped up or sold out. We will explore the diversity that the world's wine regions have to offer and gain insight how to make top picks without spending a fortune. Class attendees will taste unique gems at value, premium, and prestige price points. Taste flights of five or six wines with Sommelier Pamela Cohen and fill your cup of wine knowledge. Pam holds sommelier certification from the International Sommelier Guild, for whom she has taught in Canada and the US. She is a member of the BC chapter of the Canadian Association of Professional Sommeliers (CAPS), and holds the Level 4 Wine & Spirits Education Trust (WSET) Diploma. Pam has led wine tours to Italy, France, & Spain, and has been a featured speaker at dinners, wine societies, and staff training seminars around Vancouver. Her passion for wine is expressed by a teaching style that includes humour and wit, ensuring that the learning environment combines fun with education. Upcoming classes and ticket releases to be announced in Marquis' newsletter approximately 1 month prior to class start date. Cancellation Policy: Tickets are non-refundable but they are transferable. Send a friend. In event of class cancellations, all guests will be contacted for class rescheduling or full refund. To be waitlisted on sold out classes, please email events@marquis-wines.com.